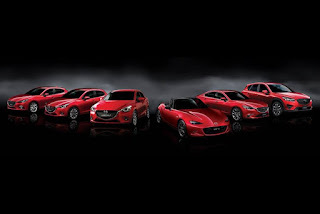 Mazda has reached a new global milestone announcing the production of more than 3,050,000 (three million fifty thousand) vehicles featuring Skyactiv Technology and KODO – Soul of Motion design. This milestone comes about four years since the first model, the CX-5, started in November 2011. Aside from the CX-5, Mazda’s new-generation line-up includes the Mazda6, Mazda2, CX-3, and MX-5. These models are currently produced in Hiroshima and Hofu in Japan as well as in Russia, Vietnam and Malaysia. This crop of models will soon be joined by the CX-9. Wonder how Skyactiv would fare in the long run. Howd you know if it is produced in Japan?